What a fun quilt! BTW, your model makes the quilt!!! 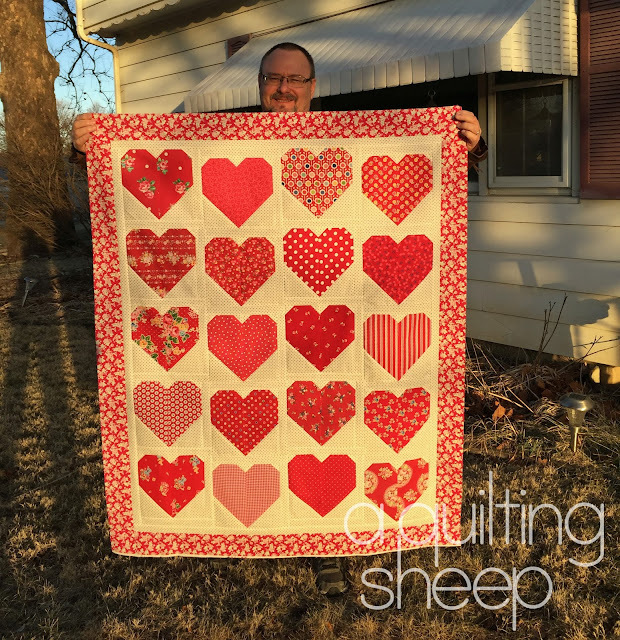 I have been meaning to make a Valentine quilt one day. Yours is so pretty, Happy Valentine's Day! Amy, this one is a cutie. I love heart quilts I want to make one now. Your valentine looks so eager to make you happy. Good thing!